When you create a new project targeting the Windows Phone 7.1, you will see that a jpg file with name “SplashScreenImage.jpg” is being added to your Project folder. 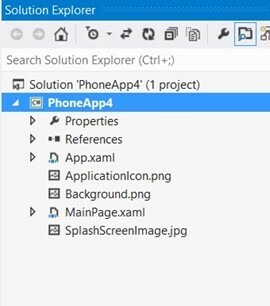 By default, the SplashScreenImage.jpg is removed from the Windows Phone 8 project template when creating a new project. You can add the splash screen to your Windows Phone 8 project by simply adding a file with the same name as “SplashScreenImage.jpg” and set its build action to “content” and copy to output folder.